2. Enter all the required field such as the item name and item code. 3. 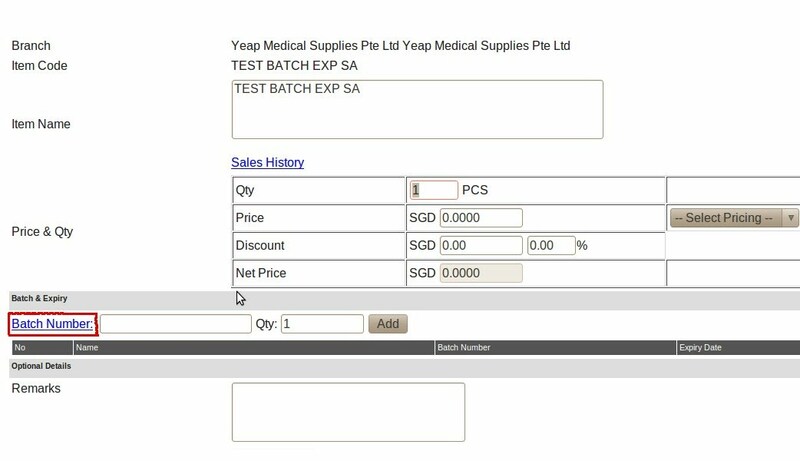 Once you done, select the type of the item to Batch and Expiry and click the Add Now button. 4. Now, proceed to Procurement --> Transaction --> Direct Receiving Stock. 5. 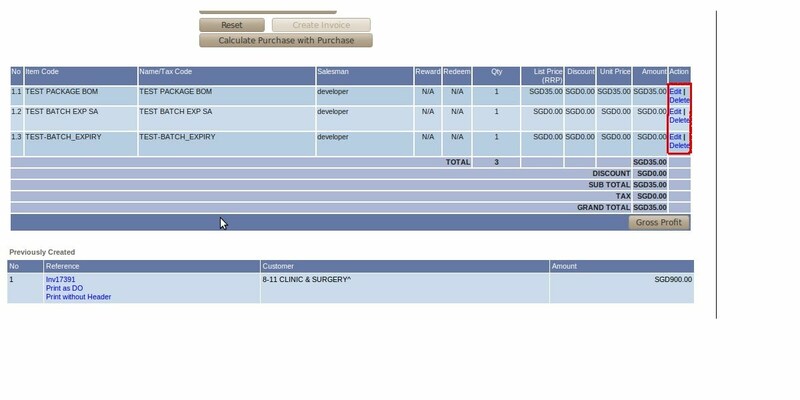 Enter all the required field, such as the supplier and supplier invoice. After that enter the item code and click submit. 6. This will pop up another window. Enter the price and the quantity of the item. After that, enter the batch number, expiry date, and then click submit. 7. Proceed back to the previous window, and save it by clicking the confirm and save. 1. Go to trading --> Sales --> Create invoice. 2. 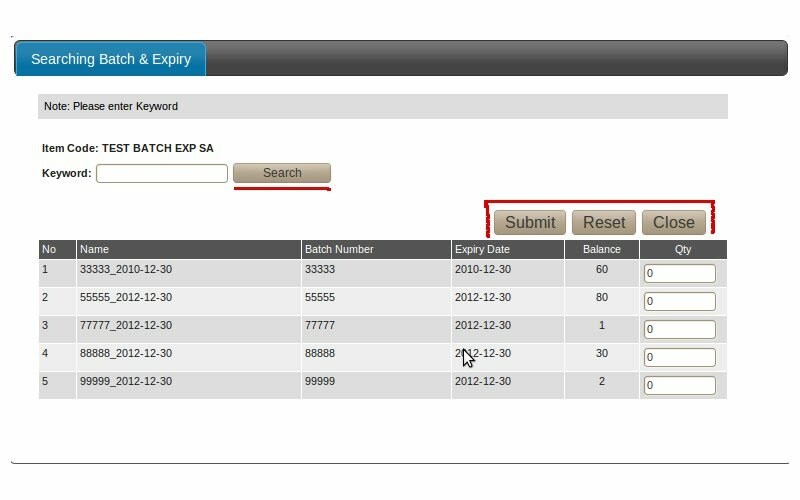 Enter all the required field such as the customer/billing account, then enter the item and click submit. 3. This will pop up another window called adding item details. 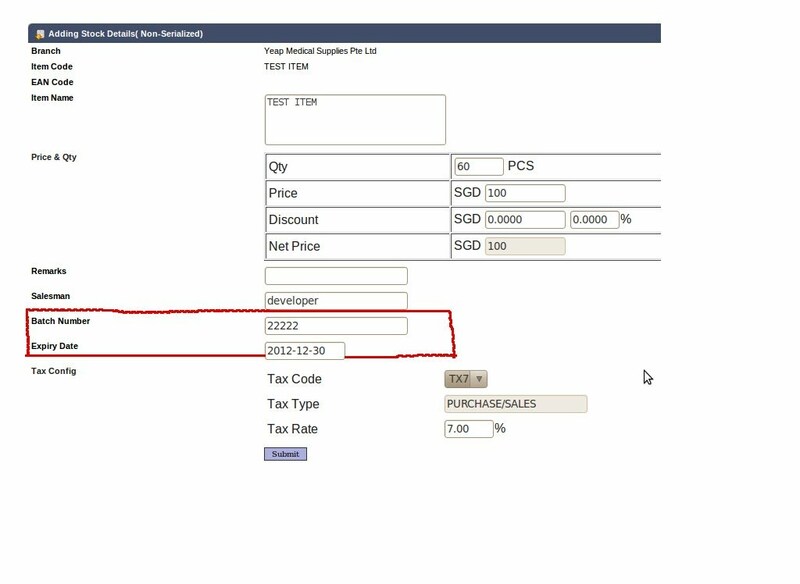 Enter the price and the quantity of the item, then click on the batch number link to search the batch number of this item. 4. Again this will trigger another pop up window called searching batch and expiry. Enter the batch number and click search. 5. The list of the batch number with its name, expiry date and balance will appear. Then, you can modify the quantity of the batch. 6. Click submit and close the window. 8. Notice that the item is appeared in the table below. 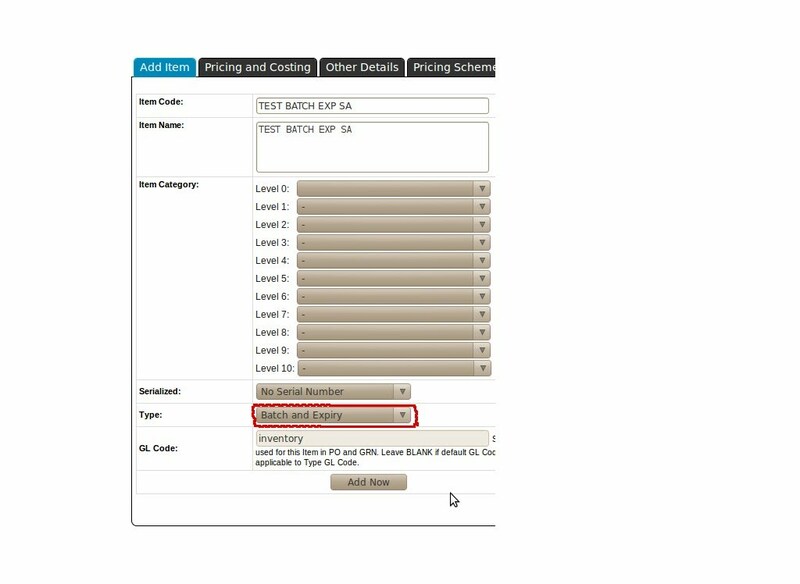 If you want to edit the item including the batch quantity, you can select the edit link that located in the last right column. 1. Go to Reports -> Stock Reports. 2. 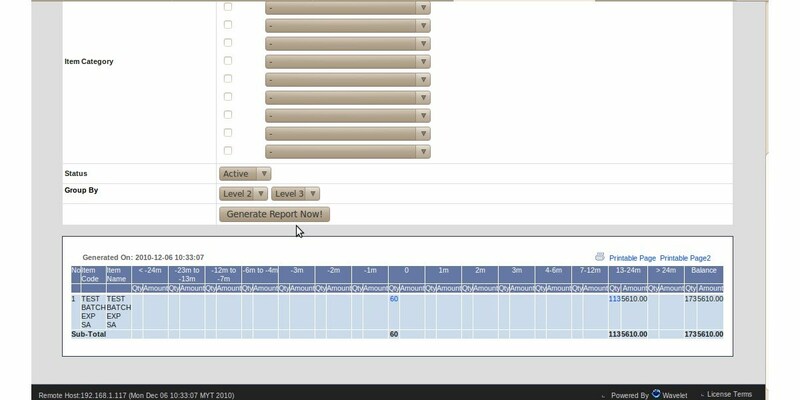 Select the OR-11 Batch and Expiry Date Report <It is located in the Other Reports field in the right bottom>. 3. Enter all the required field such as the item code. 5. The report will be generated in the bottom of the page.